Jihad (struggle) is a holy war to defend Islam against non-believers and non-Muslims. Jihadists are holy warriors. 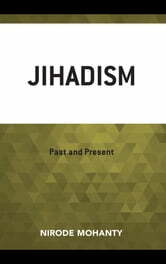 The intellectual father of jihadist Islamism, Sayyid Qutb, who was executed in Cairo in 1966, made the message crystal clear: Jihadism (jihadist terrorism) is a “permanent Islamic world revolution” aimed at decentering the West to establish “Hakimiyyat Allah,” or God’s rule, on a global scale. 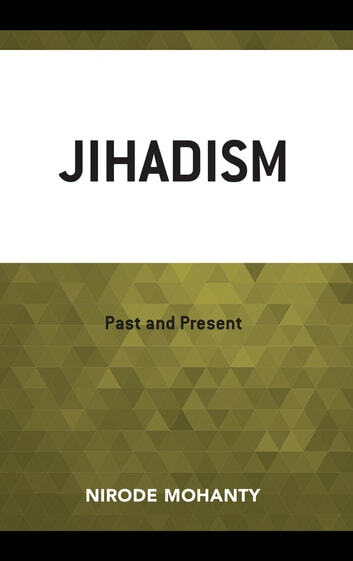 This book narrates the evolution of jihadism (jihadist terrorism) in the past centuries and its impact on the world as an existential threat to the humanity in view of worldwide terrorist attacks with its aggression, barbarity, burning alive of human beings, kidnapping, and savagery while imperiling the democracy, secularism, plurality, freedom, and security of the civilized world. In the last seventy years, radical Islamists have won in many places and many times because of the two world wars and the Cold War. But the recent years have shown new levels of gruesome and ghastly activity. Most Muslims of the world (numbering 1.6 billion people total) condemn these atrocious deaths and are peaceful. They feel their religion is hijacked by a few radicals. After September 11, 2001, the former president George Bush declared “the face of terror is not the true faith of Islam. That’s not what Islam is all about. Islam is peace. These terrorists don’t represent peace. They represent evil and war.” The leading Muslim country, Egypt, is fighting terrorism unrelentingly with full force. However, the rise of Islamic terrorism in the UK, Belgium, France, Somalia, the Philippines, Afghanistan, and other places in Asia, the Middle East, and Africa is a great threat to the mankind. The radical Islamists consider the American invasion of Afghanistan in 2001 and Iraq in 2003 to be a war against Islam. These events helped to create a resurgence of radical Islam from Indonesia to Iran to secular Turkey. Jihad in the Muslims’ holy book, the Koran, refers to inner strife, but for centuries radicals have misconstrued it to mean a violent, brutal war against nonbelievers. The Taliban, Al Qaeda, ISIS terrorists claim they are true Islamic jihadists.